Did Bill Elder Mislead the POST Board? Did Sheriff Bill Elder Provide False and Misleading Information to AG Coffman? One year ago on March 11, 2016 Sheriff Bill Elder with the El Paso County Sheriff’s Office (EPSO) along with Chief Pete Carey with the Colorado Springs Police Department (CSPD) and Chief Deputy Todd Evans (EPSO) stood before Attorney General (AG) Cynthia Coffman and the POST (Peace Officers Standards and Training) Board and made an emotionally charged “urgent” request for funds. POST is an organization under the Colorado State Attorney General’s Office that documents and manages the certification and training of all active peace officers. They also provide grants to local agencies. For more information concerning POST visit their website. The original request made by Bill Elder, in November of 2015, was for $750,000 to provide funding to build a police and fire training facility on Pikes Peak International Raceway property (PPIR). Due to issues with funding, property/land, staff, and other issues the request was not brought before the POST board. Approximately 5 weeks prior to the meeting, Bill Elder discussed options with the POST director; Cory Amend, and requested that he and others be allowed to present to the board at the next meeting. So, according to the meeting minutes, it was Sheriff Bill Elder who made the request to present to the POST board. “In November 2015 POST was asked to provide funding to build a police and fire training facility on Pikes Peak International Raceway property. The current range is used by 1500 officers from El Paso SO, CSPD, Fountain, and others, and will cease to exist in November, 2016. The organization was requesting $750,000. Ms. Calomino and Director Amend discussed the issue extensively with Central Mountain Training Foundation (CMTF), the region in which the facility would be located. The issue has not previously been brought to the Board due to continuing concerns regarding other funding, property/land issues, lack of staff for grant administration, and other issues. Approximately five weeks ago, Sheriff Elder of El Paso County Sheriff’s Office discussed options with Director Amend and requested a presentation to the Board by Triad. Chief Deputy Todd Evans presented history of the Triad, which was formed in 1993. The current range (which includes four ranges) has been operating since 1996. Funds for the range are administered by El Paso County, though operational decisions are made through monthly board meetings. Fifteen agencies use the range. The urgent need for a new facility in the area is due to the fact that the area is no longer in a remote location, but has I-25, Fort Carson, and retail stores nearby, making it potentially unsafe. In addition, drainage is causing deterioration of the existing facility and will make sections unusable in the near future. Existing ranges cannot accommodate 1500 officers. After the conclusion of their presentation there was a motion made to provide the group with a funding grant of $225,000 to be spent by the end of the fiscal year (2016). If you reference the next meetings minutes you will see that the El Paso County Sheriff’s Office received these funds. Why in March of 2016 did Sheriff Bill Elder proclaim to the POST board, there was an “urgent” need for a new gun range? According to the meeting minutes Elder and his team stated the current range which services over 1500 officers would cease to exist in 8 months. How can there be an urgent need when El Paso County spent a great deal of money on a recently completed gun range at Ft. Carson? 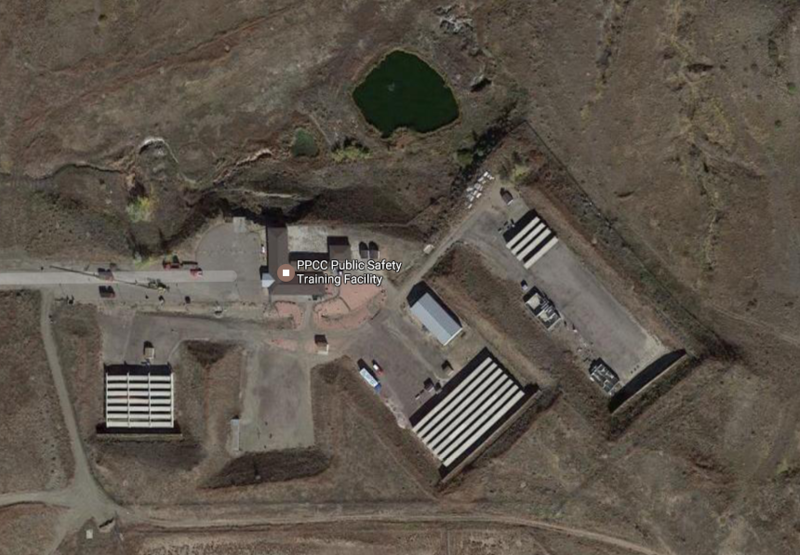 (Cheyenne Mountain shooting complex). Read press release dated 01/24/2013. When Bill Elder was standing before AG Coffman and the POST board suggesting his Deputies would not have a gun range in the near future he knew the entire Sheriff’s Office had been using the county’s range for the past three years. 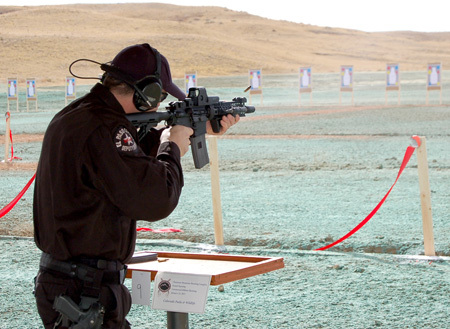 In the press release it states; “One of the seven ranges is prioritized for training of law enforcement and public safety personnel.” In fact, there is a picture of a Deputy shooting at the new range. So, Why would EPSO have an urgent need for yet another gun range at PPIR? When Bill Elder and his team made this claim were they misleading AG Coffman and the entire POST board? Did Bill Elder mention that EPSO already had another range it was currently using? It’s not in the meeting minutes. Did Bill Elder conveniently forget about the county’s gun range? Did he also forget Fountain PD had access to this range? 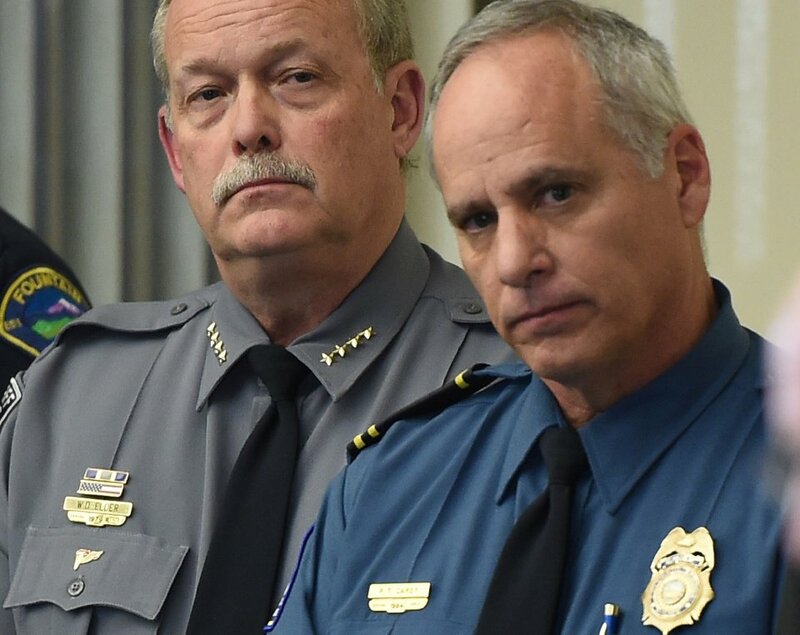 This group, lead by Sheriff Bill Elder, made the following statements to AG Coffman; “The urgent need for a new facility in the area is due to the fact that the area is no longer in a remote location, but has I-25, Fort Carson, and retail stores nearby, making it potentially unsafe. In addition, drainage is causing deterioration of the existing facility and will make sections unusable in the near future. Existing ranges cannot accommodate 1500 officers.” These statements are misleading and not accurate. The current range, which is located at Pikes Peak Community College (PPCC) was in use on the day Bill Elder presented to the board, it’s still in use today, and there are no plans to decommission it. In fact, CSPD still uses this facility to this day. The EPSO SWAT team also uses this facility. So what was the urgency back in March of 2016? According to a source close to Elder, CSPD has been told they can continue to use the PPCC range for as long as they need. In fact, it is our understanding CSPD has two range officers permanently assigned there. So, it does not appear CSPD is in any rush to leave. It was also misleading to say the current range was no longer in a remote location and potentially unsafe. Since the range was built, no buildings or structures have been built closer than the college, which was there prior to the range and there has never been any concerns raised to suggest the facility needs be closed for safety concerns. PPCC is currently using the facility for its Regional Law Enforcement Academy and sources say they hope to upgrade it in the future. Bill Elder knew there were no plans to shutdown the facility in 2016 and it would not have made a difference anyway because EPSO had another gun range. Bill Elder knew there was no need; let alone an “urgent” need for another gun range in El Paso County. According to the meeting minutes, Bill Elder’s presentation team stated; “The current range is used by 1500 officers from El Paso SO, CSPD, Fountain, and others, and will cease to exist in November, 2016.” The implication being that without receiving immediate funds from POST all sworn officers in the area would not have a range to use in approximately 6 months. Bill Elder knew this was not true! He knew there was a gun range owned by El Paso County that had 7 ranges, one of which dedicated to Law Enforcement. Plus, Bill Elder has 2 EPSO range masters permanently assigned to the county’s gun range. He also knew there was no plans to decommission the current range at PPCC in November of 2016. There was no urgency, and Bill Elder knew it. It’s now 4 months after the November 2016 deadline and every law enforcement agency in the area still has access to a gun range. So this proves Bill Elder’s statements were not accurate. Many of the statements used to justify the granting of the funds from POST were not accurate and misleading. It is also clear Bill Elder knew this at the time of the meeting. But that’s not the end of the story. It’s our understand there was, and might still be, an issue with the land. But the funds were quickly used to purchase a “turning target system” from Action Target. According to a source, the items purchased last summer are still sitting in crates at PPIR and no real development of the property has begun. Usually a company’s warrantees start on the day the product is delivered. So are the warrantees close to expiring even though everything is still in crates? It appears Bill Elder and his team knowingly exaggerated, mislead, and possibly even lied to obtain a grant from POST. It is unclear if the turning target system, still in crates for over 6 months, will ever be used or were ever really needed. So, Bill Elder wasted over $200,000 taxpayer dollars on something EPSO did not and does not need. It’s been a year since Bill Elder stood in front of AG Cynthia Coffman and the entire POST board and mislead them to obtain a large grant. 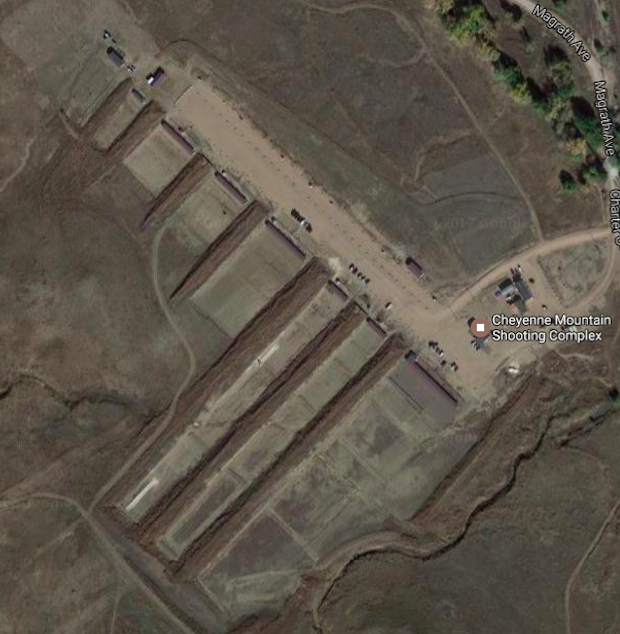 Bill Elder knew El Paso County already had a large gun range on Fort Carson which they had been using for over 3 years. So, why did Bill Elder say they had an “urgent” need? Why did he want yet another gun range and why did he mislead AG Coffman and the entire POST board to get funding for it? Did the El Paso County Commissioners know about this fraud committed by Bill Elder? We received information suggesting Bill Elder is part of a group trying to profit from creating a regional training center. The names of the individuals involved were provided, but felt it not appropriate to list them at this time. Investigation continues. Like a good used car salesman, Bill Elder created drama and urgency. He created an environment where the POST board felt they had no choice but to hurry up and give him the $225.000 dollars. Bill Elder obtained these funds under fraudulent circumstances and the El Paso County Sheriffs Office should pay the money back to POST. Did Bill Elder commit a crime by knowingly misrepresenting facts to the Post Board to obtain something of value? Is this official misconduct? How much corruption will the county commissioners put up with? Millions of taxpayer dollars have been wasted by Bill Elder. Where is the accountability and transparency? Where is the Integrity? Allegations of sexual harassment, nepotism, intimidation, and now fraud. Bill Elder is the master of malfeasance! He has created more corruption in two years than most could in a lifetime. 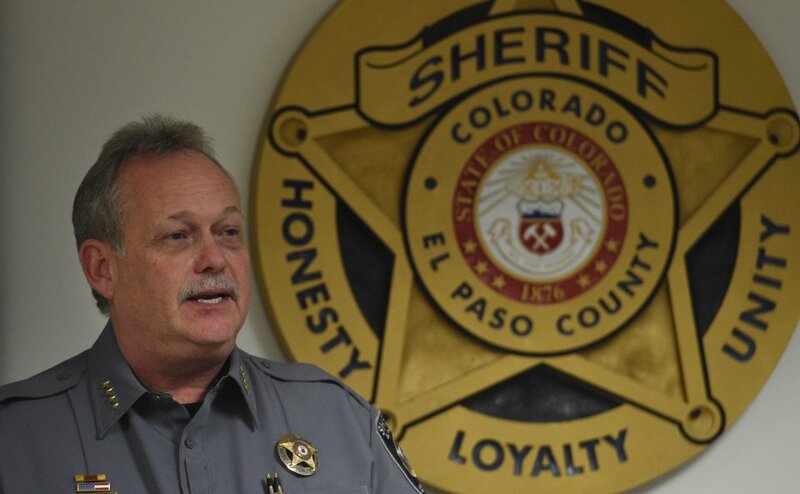 It is time for an independent audit and investigation of the El Paso County Sheriff’s Office.